Halo Optics announced a range of new laser rangefinders for 2018. The different models vary in capabilities and price while providing accurate range detection for hunters. Over the last few years laser range finders have become a trusted accessory for the modern hunter. They allow to precisely measure the distance to the target and thus enable a possibility for a clean kill. This has resulted in less suffering for many of the hunted animals as well as a higher success rate for many hunters. Laser rangefinders have thus become an important tool for more and more hunters. They provide fast and accurate distance information making it easier for the shooter to correctly target and to assess whether a shot can be successful or not. Halo Optics packs all this underlying technology into a handy laser rangefinder that provides reliable and precise measurements in the shortest period of time. All that at prices that won’t require you to get a second job! 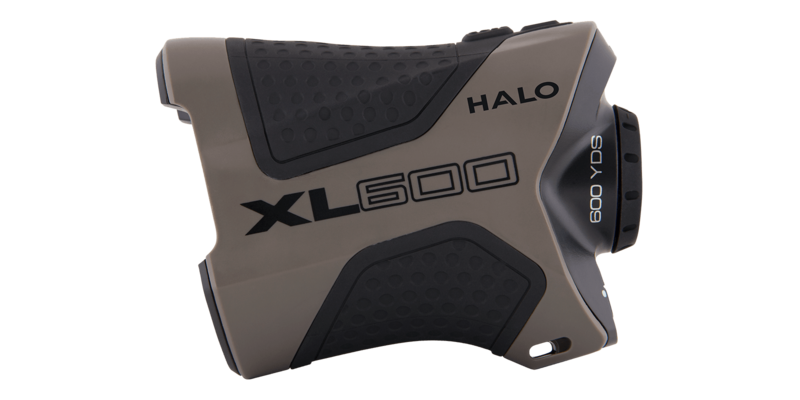 The new laser rangefinder announced for 2018 by Halo are the XL600, XR700, XR800, Z1000 and the XLR1500. Have a look below at a few of these models in more detail. One of these new range finders by Halo Optics is the new Xl600 model. It comes with a lot of premium features yet at a very affordable price and is designed specifically for hunters. As the name already gives away, the effective range is up to 600 yards. The accuracy is within one yard! In addition it features a 6x magnification enabling quick target acquisition and clear viewing of the target. The Xl600 comes with an internal LCD that is easy to read. Being designed with the hunter in mind the display provides information on the distance, the unit of measure (yards or meters) as well as the reticle, mode setting and battery status. The Halo Optics Xl600 Laser Rangefinder operates in dual modes. It delivers a single distance reading when pushing the button as the standard mode. It also has a scan mode that measures the range to multiple targets while you don’t have to activate the laser again for each individual target. Last but not least, you get automatic slop detection and adjustment with the XL600 model. That allows to get accurate distance readings even if you have to shoot at an angle! On top of all those features tailored for the hunter, the Halo Xl600 is also water resistant, an essential feature for a hunter. The XLR1500 is the high-end model that Halo introduced in early 2018. It has an effective range of 1,500 yards making it powerful enough for even the longest shots. The distance is measured within one yard even at the largest range! The Halo XLR1500 also features the AITM (Angle Intelligence) Technology. This technology automatically detects as well as compensates for elevation differences. The result is the display of the true ballistic distance making it even more accurate to get the distance to your target! 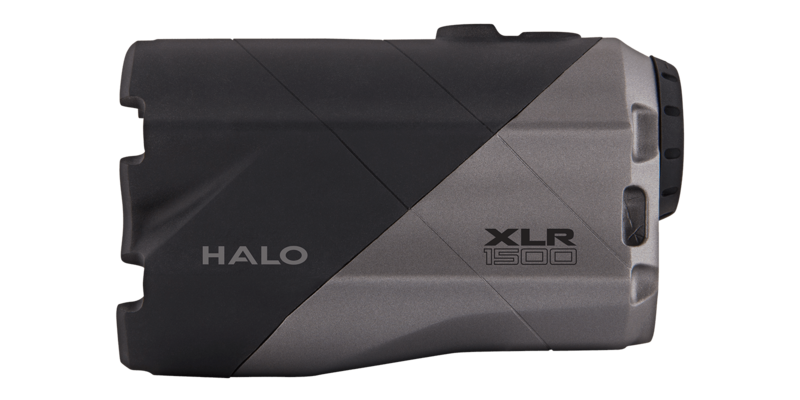 The XLR1500 features a 6x optical zoom and various display settings similar to the other models to provide the best possible outcome for the hunter and shooter.